I am Cornholio, and I need TP for my bung-hole! Back when MTV was still a thing, a prophetic documentarian named Mike Judge introduced Generation Y with a new set of role models, in the form of two hopeless morons named Beavis and Butthead. 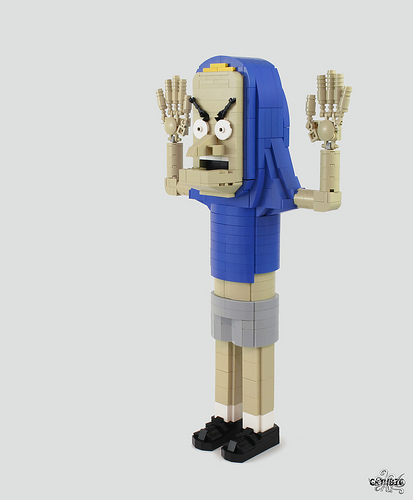 Fans of the show will no doubt recognize Beavis’ sugar-induced alter ego Cornholio, hilariously recreated here in LEGO by TBB favorite Jimmy Fortel. Heh heh, heh… ARE YOU THREATENING ME?